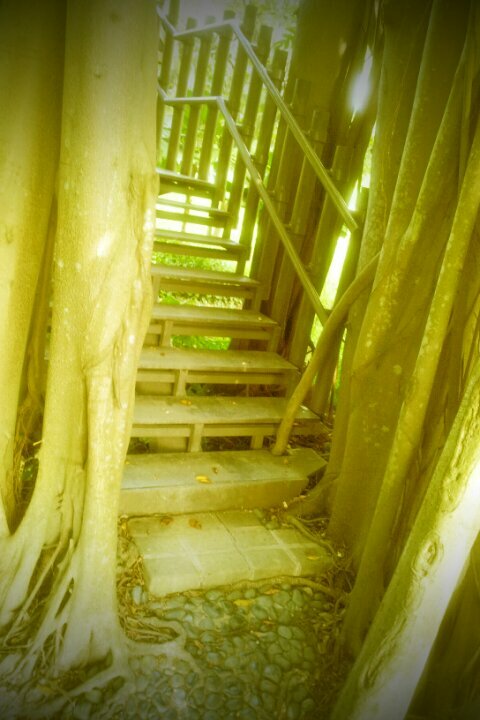 I had gone to the Ecogarden again to double-check the name of a tree which I previously took a photograph of. Like the first time, I was at the garden in the late morning where the sun shined beautifully upon the greens in the garden. I was lucky to meet our plant specialist, Mr Tan, just before I reach the garden and I shared with him my intention to identify a tree. Mr Tan kindly offered to help, hence my little mission was accomplished within minutes. 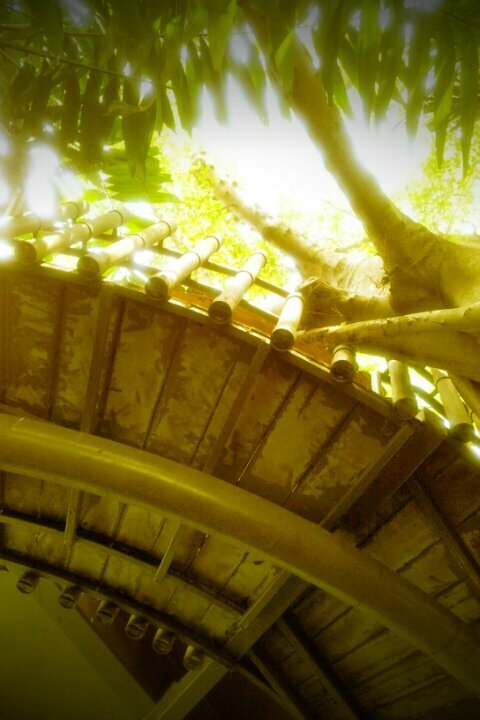 Standing in the middle of the Ecogarden, the image of the tree house came to my mind again. This time, I was determined to pay it a visit. 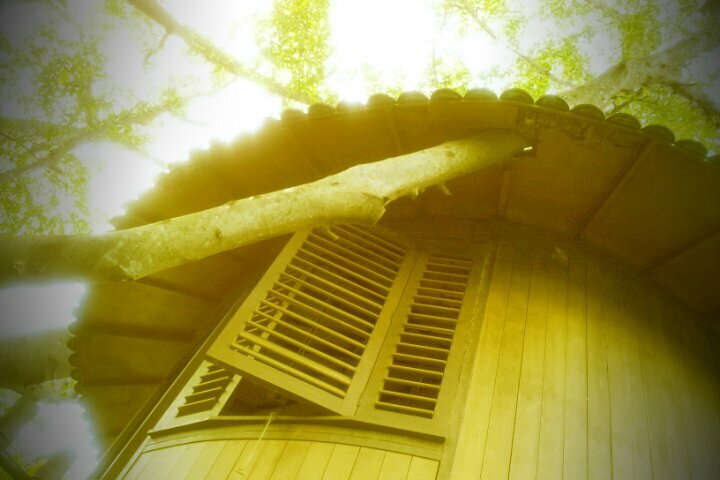 I lost track of how long I spent, reading the signboards below the tree house and examining its structure built around the fig tree. 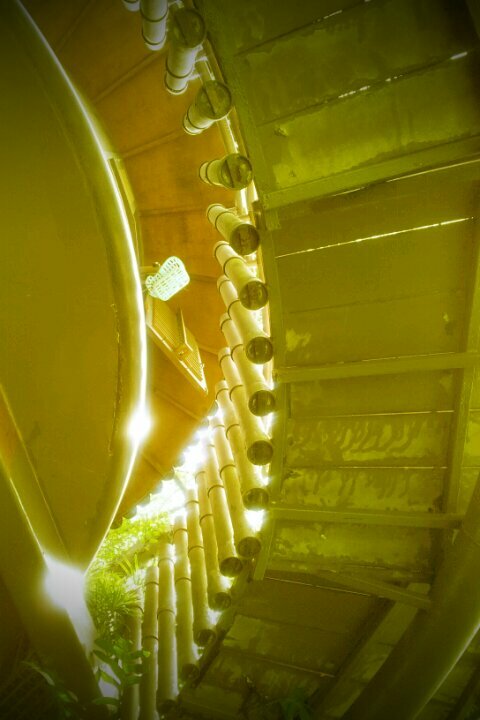 It was a peaceful morning at the Ecogarden and I was slowly taking in the ambience in the air and also the view of the Ecogarden from alleviated height. 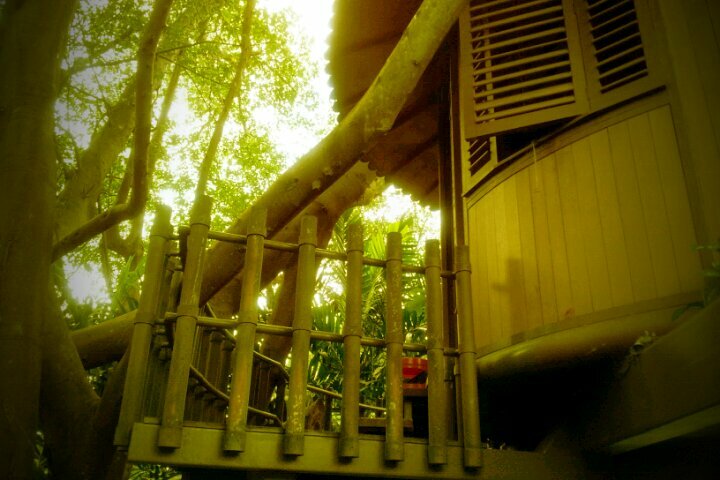 Can you see the bucket hanging between the tree house and the stairway? Did you know that there was actually a pulley system installed at the tree house, allowing you to ferry things between the ground and upper level? Though this was not some advanced technology in today’s context, I felt it added a little ancient charm to the tree house (even better if it was a wooden bucket). At least, I would be charmed if I were a little kid. Sadly, the sky looked rather threatening and I had to retreat indoors. On the way back to the main building of the Science Centre, I saw Iggy, the green iguana. 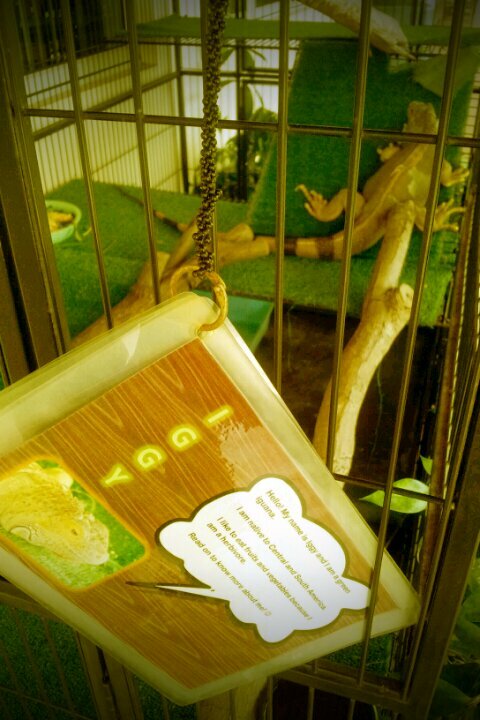 Iggy was confiscated by the Agri-Food and Veterinary Authority of Singapore and donated to the Science Centre. Flipping the info cards attached to the cage, I managed to learn a few facts about the green iguana as well. Just when I thought meeting Iggy was a nice end to my second visit to the Ecogarden, I met Mr Tan again when I re-entered the main building. 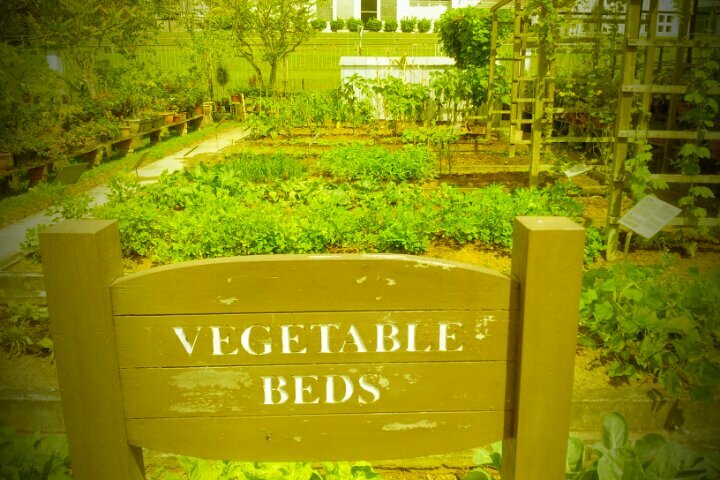 We chatted and Mr Tan mentioned the vegetable beds on the far right of the Ecogarden, next to the Ecolab. Looking up at the sky, Mr Sun seemed to give the go-ahead, so I stepped out of the air-conditioned building again and went in the direction of the vegetable beds. While we did not have quantity, I was quite amazed at the range of vegetables we grow (beyond my previous knowledge of lettuce and lemongrass). 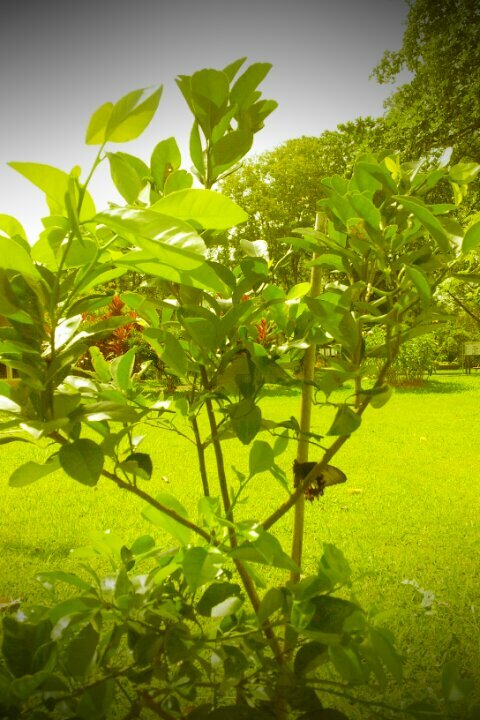 Similar to the medicinal garden, I saw many butterflies fluttering around leisurely. Mr Sun was suddenly shining proudly again and the dark clouds shied away – the perfect time for a good photoshoot. Unfortunately, with just a mobile phone at hand, and not-so-good photography skills, I was unable to capture the beauty of nature I saw. It is amazing how a place can win my heart within such a short time span, but the Ecogarden and its lifeforms had done so in its unique way. Next articleCAMPS AND FESTIVALSSMSS' Science Escapade! 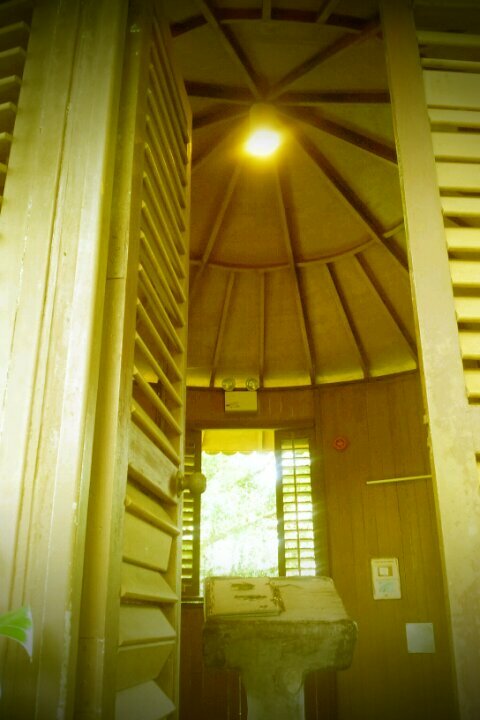 The garden & tree house are my favorite places at Science Centre. Most visitors will stay indoors to enjoy the air-conditioning, which means the garden is usually a place of serenity and peace. Another interesting feature are the various spices and medicinal plants cultivated in the eco garden. Nowadays, who can still recognize the plants behind the spices that we buy in sterile, hermetically sealed containers at the supermarket? It is indeed a very tranquil place, and very educational for city folks like many of us. Recently, I saw these on one of my visits – snail eggs by the pond. By the way, sorry for the lateness in reading your comment! We will improve on getting rid of the spam, or we will be missing out on all the comments here.